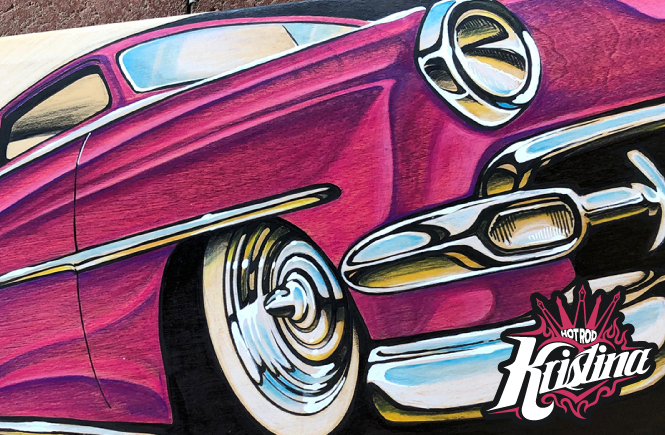 Today I launched a small online store over at HotRodKristina.shop where you can grab original art, digital prints, custom skateboards, and eventually garage banners, t-shirts, hoodies, hats and of course, stickers! Right now I have a few older Inktober sketches up, a custom skateboard featuring a Chevy Kustom, and I’ll be rounding things out with some digital prints as I can get them up. Be sure to check back often to grab new stuff!